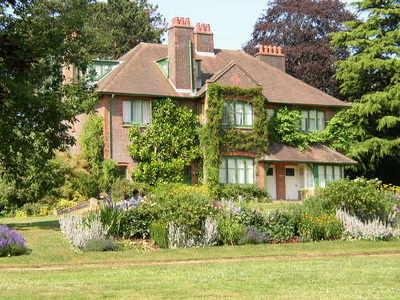 2006 Hertfordshire, London, Windsor - James W. Lett, Ph.D. These photographs and notes are from our visit to Hertfordshire and the surrounding area in June and July. 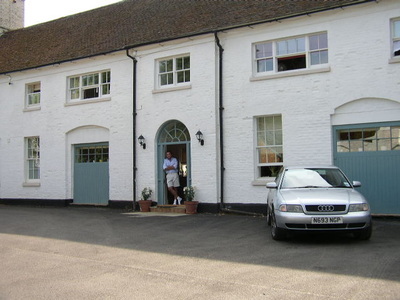 We stayed with our friends Ann & Peter in their marvelous house in the converted stables of a centuries-old estate, about 25 miles north of London. 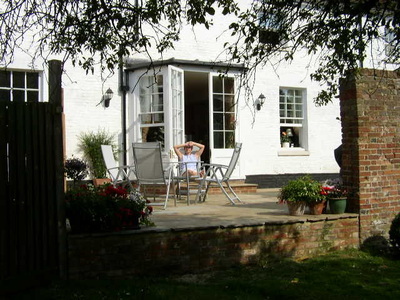 The front of the house faces a large courtyard, and the back overlooks an expansive parkland populated with wildlife including foxes, rabbits, pheasants, and monkjack deer. The estate is surrounded by woods and farms crisscrossed with public walkways that lead to quaint rural pubs--we're thinking of moving there. 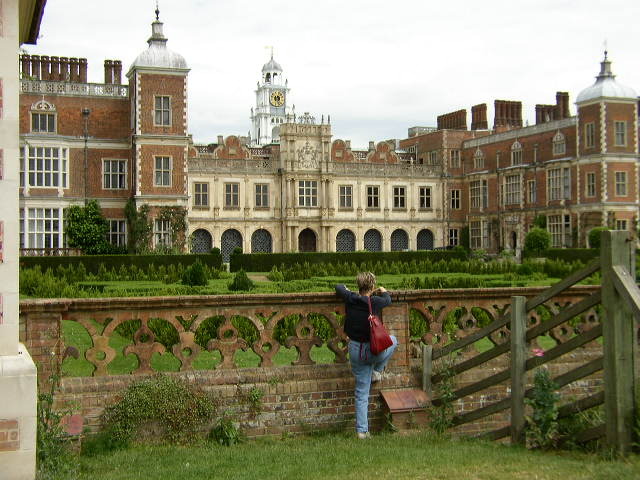 Queen Elizabeth I spent much of her childhood at Hatfield House--legend has it that she was seated under an oak tree in the park surrounding the house when news of her accession was brought to her. The official website of Hatfield House includes a dramatic aerial view of the property. 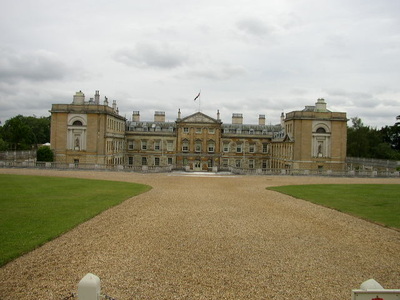 Situated in the middle of a 3,000 acre deer park, Woburn Abbey is a stately home built on the site of a 12th century Cistercian Monastery. It was bequeathed to the first Earl of Bedford in the will of Henry VIII. The official website of Woburn Abbey is very attractive. 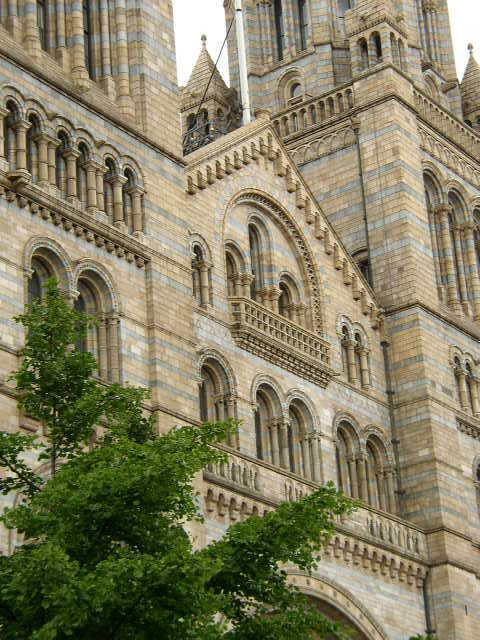 The Natural History Museum in London is housed in a vast cathedral-like building that opened in 1881. The dinosaur exhibit is particularly large and impressive, although I found the exhibit on human evolution to be a bit over-simplified and over-qualified (e.g., "Homo erectus probably [sic] walked upright"--probably?!). Still, anytime you have monumental architecture devoted to the rational pursuit of knowledge rather than the speculative contemplation of sacred nonsense, it's certainly a good thing. This is one of our favorite places in London. Westminster Abbey has been the burial place of Britain's monarchs since the 13th century, and the setting for many coronations and royal weddings. 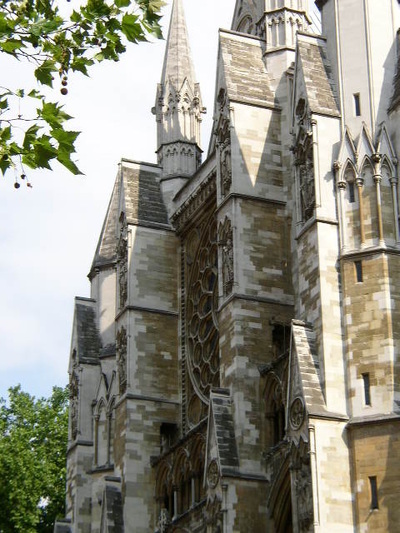 Half national church and half national museum, the abbey aisles and transepts are filled with tombs and monuments honoring some of Britain's greatest public figures--including the hallowed grave of Charles Darwin. Hampton Court Palace is located on the Thames River west of London. Cardinal Wolsey, the Archbishop of York and chief minister to King Henry VIII, leased Hampton Court as a country residence in 1514. A few years later, in 1528, Wolsey gave the property to the king in the hope of retaining royal favor. Following the royal takeover, Hampton Court was extended twice, first by Henry himself and then, in the 1690's, by William and Mary, who used Christopher Wren as the architect. 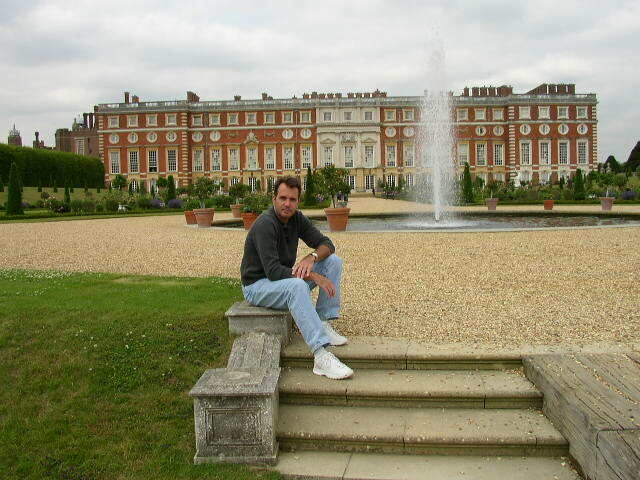 As a result, Hampton Court Palace is an interesting blend of Tudor and English Baroque. Windsor Castle is the oldest and largest occupied castle in the world, and one of the official residences of Queen Elizabeth II. 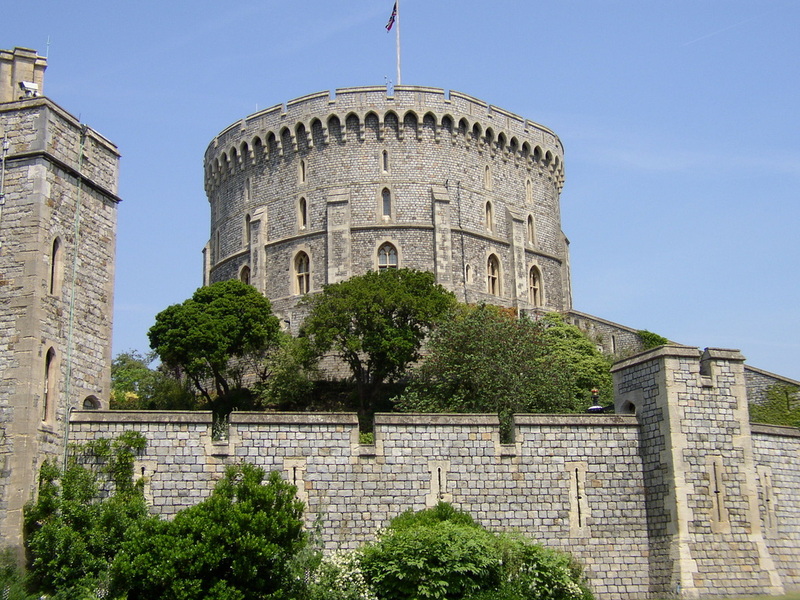 The original construction of Windsor Castle began in 1080, and the building has remained in continuous use by British monarchs ever since. 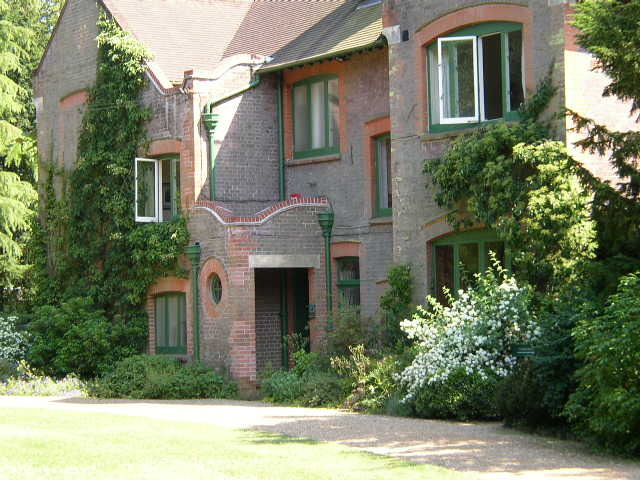 From Lamer Mews, a short pleasant stroll through woods and farmland takes you to Shaw's Corner, the home of the Irish playwright George Bernard Shaw from 1906 until his death in 1950. The house itself at Shaw's Corner is relatively modest, but the surrounding gardens are very pleasant, and the tiny village nearby is thoroughly charming.